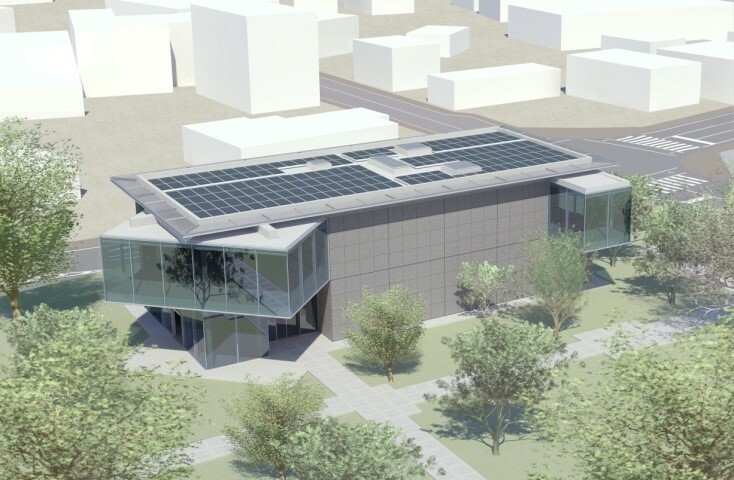 Tokyo, Japan – January 17, 2019 – Penta-Ocean Construction Co., Ltd. (hereinafter “Penta-Ocean”) acquired the highest rating of 5 stars and ZEB (Zero Energy Building) Certification under BELS (Building Energy-Efficiency Labelling System) in the course of the ongoing construction of the new museum for Hisamitsu Pharmaceutical Co., Inc. (hereinafter "Hisamitsu") in Saga Prefecture, by achieving a significant energy-saving performance of 103% including the effect of on-site energy generation. The museum will become the first to acquire such certification in Saga. Hisamitsu Pharmaceutical Museum was designed as part of the company’s 170th anniversary projects, scheduled for completion in February 2019. The basic design of the museum was drawn by the world famous sculptor, Mr. Cecco Bonanotte. Yasui Architects & Engineers, Inc. are in charge of the overall design/supervision and Penta-Ocean undertakes the construction. 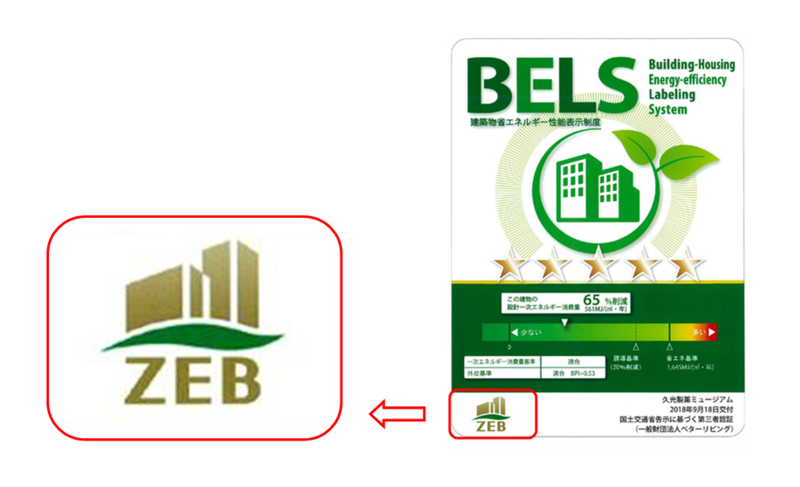 We outlined our technical proposals to implement ZEB concepts in order to embody Hisamitsu’s CSR slogan: "To develop a more affluent society and preserve the global environment". Penta-Ocean proposed various ZEB features and achieved high performance in energy efficiency by obtaining the optimum combination of numerous energy-saving technologies such as enhanced roof insulation, higher efficiency air conditioners and sensor systems to control automatic operation of building facilities. For the on-site energy production, we installed a solar-power generation system. Because the museum is built in a park with plenty of open space around it, we kept the solar panels out of direct view for aesthetic considerations. As a result of the above efforts, we successfully achieved a ZEB status with 103% lower energy consumption (including the effect of on-site energy production) without altering the museum façade nor other basic designs. The museum building is equipped with BEMS (Building Energy Management System) which measures energy consumption. BEMS will perform ongoing monitoring and analysis of energy use in order to validate the energy-saving effects of adopted technologies and accumulate the expertise of automatic operation control. Penta-Ocean will continuously tackle global warming issues by constructing high energy-efficient buildings through constant development, verification and proposal of diverse energy-saving and energy-generation technologies, under our management philosophy of "Creating a nature-rich environment". Client: Hisamitsu Pharmaceutical Co., Inc.
Designer/Supervisor: Yasui Architects & Engineers, Inc. Contractor: A Specific Construction Joint Venture with Penta-Ocean Construction Co., Ltd. and Shinko Construction Co., Ltd.